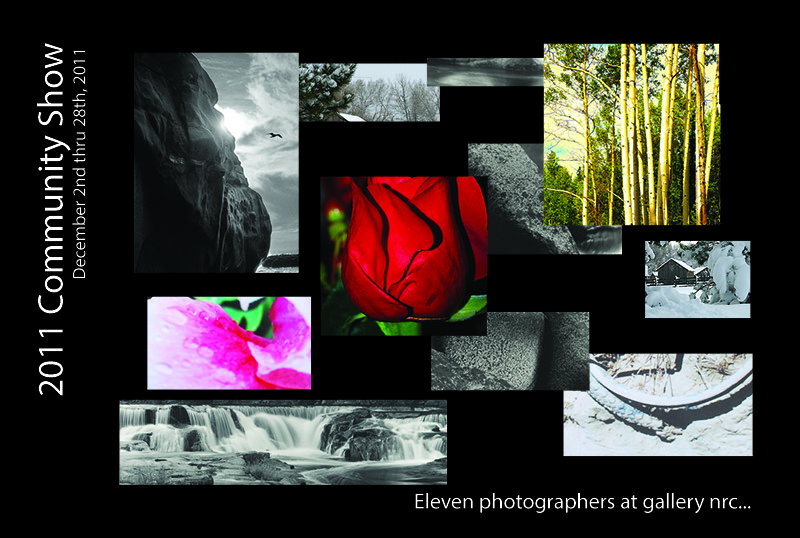 gallery nrc celebrates the holidays with eleven talented local photographers during the month of December. The 2011 Community Show will let you enjoy the photographic work of some of those who live amongst us in the Denver area and provide an opportunity to purchase holiday cards, matted prints and framed pieces to share with others during the holiday season. As part of Buy Local week and the monthly First Friday Art Walk, on Friday December 2, 2011 gallery nrc will host an opening reception for the Community Show. The reception will be held from 6:00 P.M. – 10:00 P.M. at the gallery which is located at 4424 Tennyson Street. During this time the photographers will be on hand to discuss their images and provide further insight to the work selected to be a part of the show. The exhibition runs from December 2, 2011 – December 28, 2011.